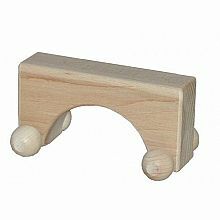 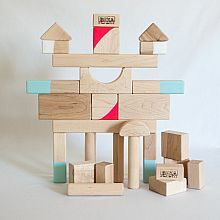 Of all the playthings in the history of the world, blocks may be the most important. 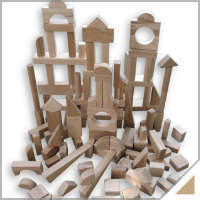 A key feture of blocks and block play is that a child's imagination is required to bring them to life. 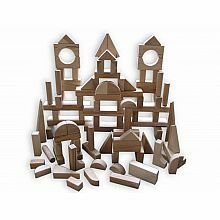 Educators have long agreed that block play is a great way for children to develop and improve both their "rational" and their "creative" minds. 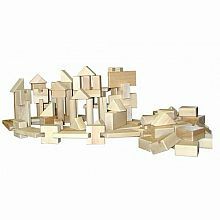 Using "scaled" unit blocks reinforces a host of important skills, from simple hand-eye coordination to complex design & engineering skills. 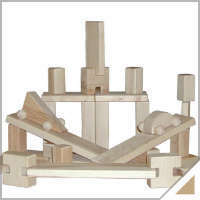 Blocks and block play is also just plain fun! 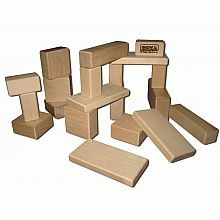 Toddlers enjoy grasping and carrying blocks around, sometimes stacking them and watching them tumble down ... sometimes sitting among them, while creating an imaginary room of their own. 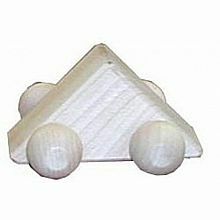 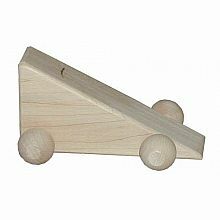 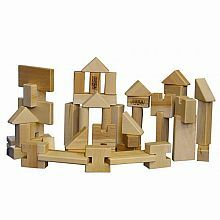 Older children may build houses and castles, as well as roads and bridges to incorporate block play with other toys. 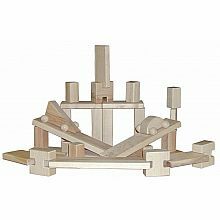 Even older children are likely to create towering structures of all sorts, with detailed features that are more literal than things their younger siblings like to make. 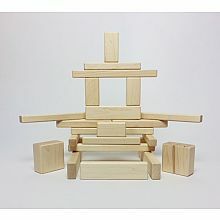 And just maybe the best part of block play is that the oldest children of all (adults), can play too! 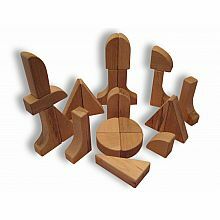 There are no age limits or number of player rules when it comes to blocks....learn to share, though, as your children will want to play too. 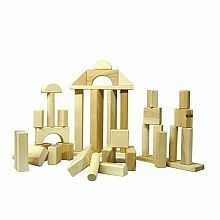 Building with Beka Blocks, children create castles, roadways, playhouses, forts (our personal favorite), garages, stables, palaces, the world, space stations/ships, the Golden Gate Bridge, airports and so much more. 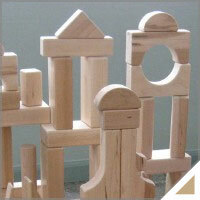 Building with blocks, children also grasp basic number concepts and learn logic skills. 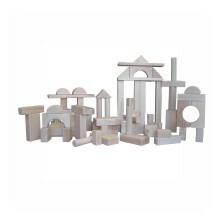 When you give children blocks, you're giving them tools to build minds and develop unlimited imagination. 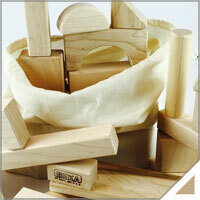 -Heirloom quality products, designed to last a lifetime. 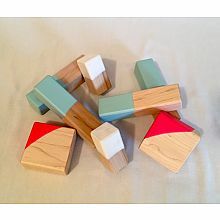 -Blocks featuring a dense Hardwood for greater durability. 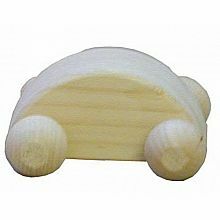 -A sustainably harvested, regional material for a lower carbon footprint. 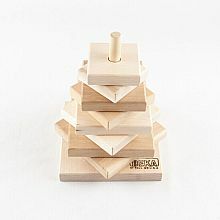 -Increased stability of "tower's", etc. 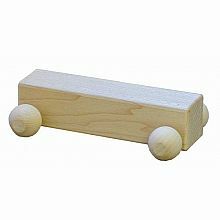 from added weight. 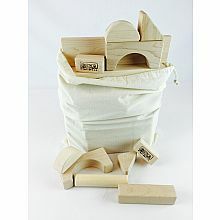 -Products made from a renewable domestic resource. 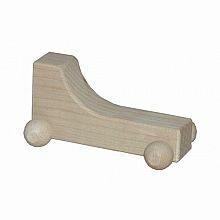 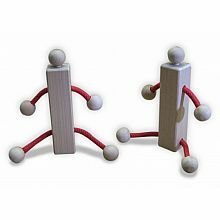 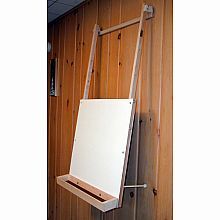 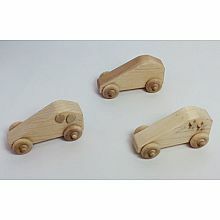 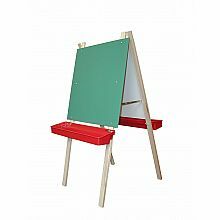 -Creative play materials that improve with use (you'll feel changes in the wood's "patina" over time). 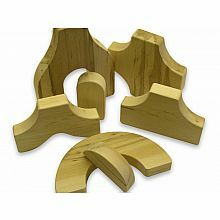 -Click our 'Hard Maple' tab at the top of the page for more information on our wood supply, or give us a call! 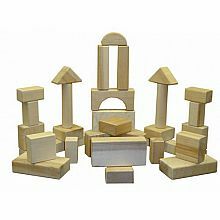 Beka Blocks are based on the Original standard 1-3/8" x 2-3/4" x 5-1/2" unit, which is a standard block set dimension used in schools and day care centers nationwide. 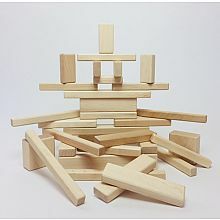 This is a more substantial unit block than many blocks seen on the market today. 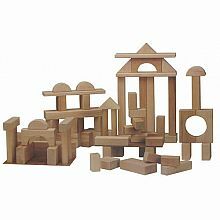 Each block is a fraction or multiple of the basic unit, providing blocks that support successful block play. 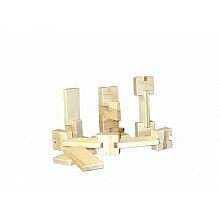 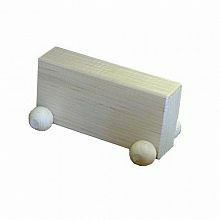 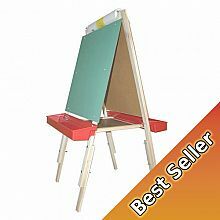 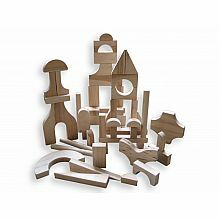 Each set includes an assortment of block shapes and sizes to provide a wide range of building options to the child using them. 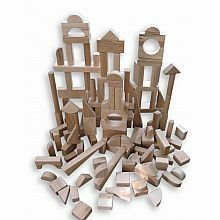 Here are lists of block shapes and amounts of each shape in our sets: Traditional Block Sets & Little Builder Block Sets, Special Shapes Sets.